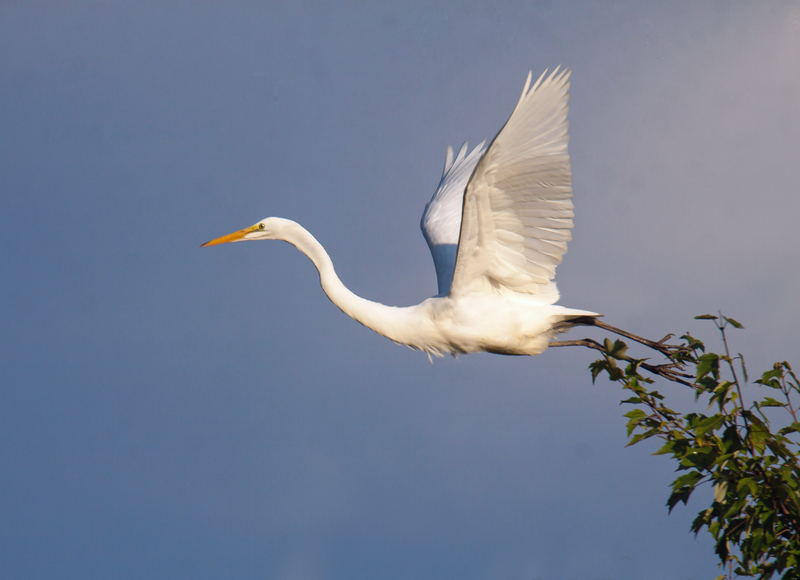 Great Egrets (Ardea alba) are so graceful in flight—it’s like watching an aerial ballet performance. I spotted this egret early this morning at Huntley Meadows Park and captured this image as it was taking off from atop a tree on which it was perched. 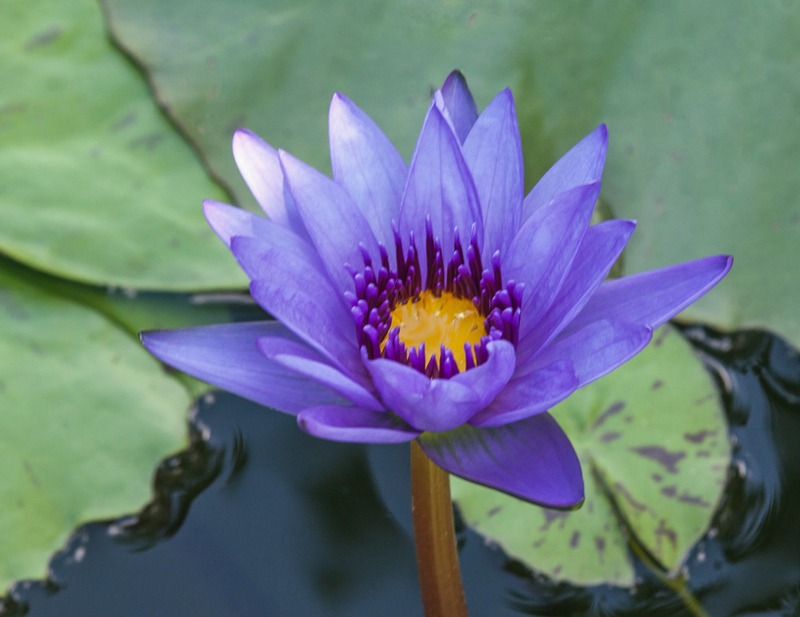 I just love the vibrant colors of the tropical water lilies at Kenilworth Park and Aquatic Gardens, like this one that I photographed on Sunday during a brief trip there. 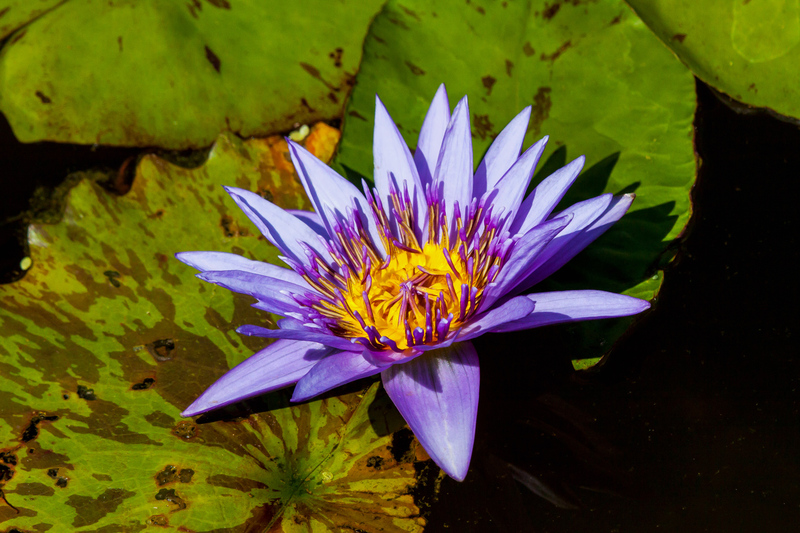 These gardens, located in a part of Washington D.C., are run by the National Park Service and have acres of ponds with all kinds of lotuses and water lilies. 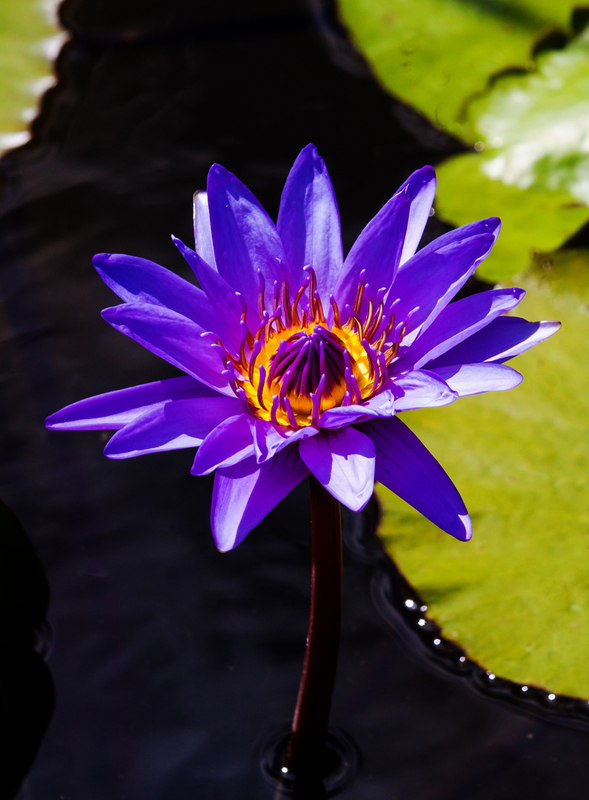 The tropical water lilies are in small cement ponds behind the visitor center and are one of my favorite spots to visit. Halloween in June? 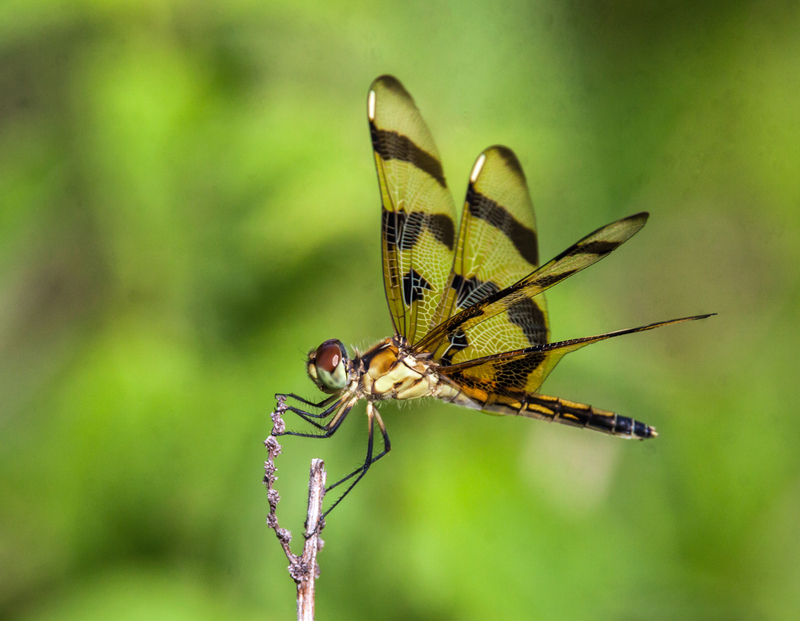 I spotted a beautiful female Halloween Pennant dragonfly (Celithemis eponina) this past Saturday in one of the back areas of Huntley Meadows Park. 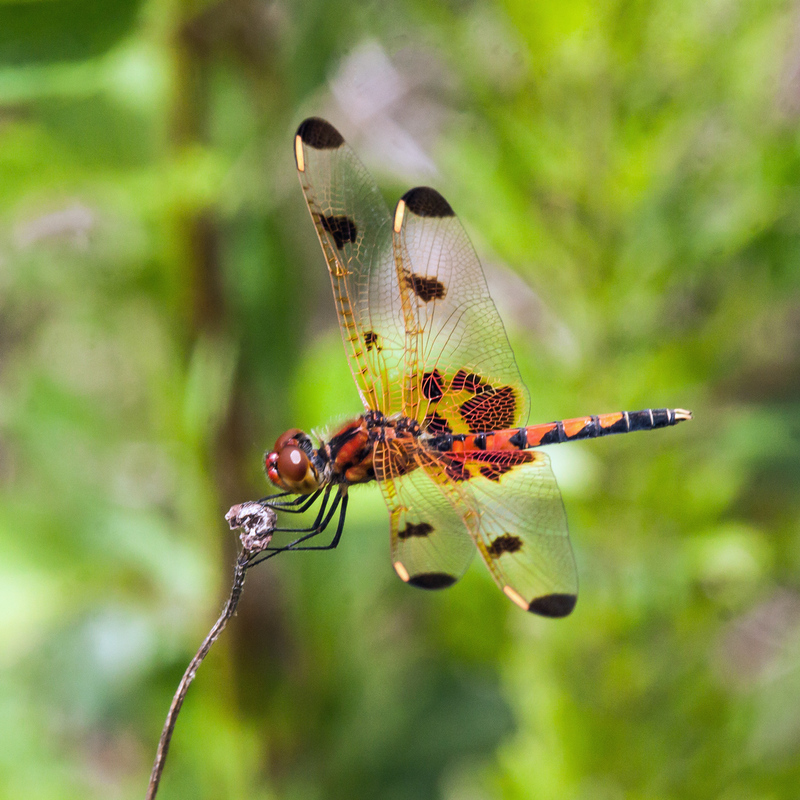 Although it is now summer, the colors of this beautifully-patterned dragonfly bring to mind those of the autumn, which thankfully is still a long way off. The last few years it has been pretty rare for me to see a Monarch Butterfly (Danaus plexippus). Most of the time when I thought I had spotted one, it turned out to be a similar-looking Viceroy Butterfly. 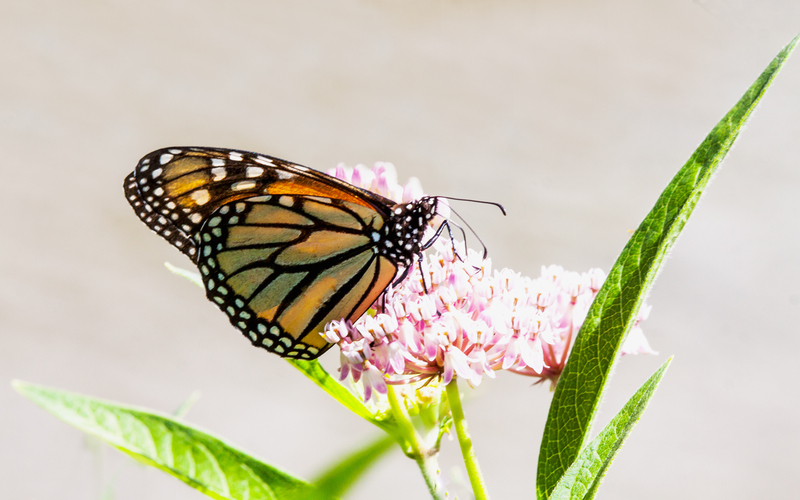 I was therefore really excited when I spotted a Monarch Butterfly fluttering about in a clump of what I think is some kind of milkweed during a brief trip to Kenilworth Aquatic Garden this past weekend. The butterfly seemed to be unusually skittish—it would perch for only a split second and then take off again. When it would decide to perch for a slightly longer period of time, inevitably it would bury itself among the vegetation, making a clear shot almost impossible. I waited and waited and finally was able to get this almost unobstructed shot of the spectacular butterfly. Even in America we celebrate this kind of Monarch. With most of my dragonfly shots, I try to get as close as I can to the dragonfly, either my moving or by zooming, in order to highlight my subject. If I am not able to do so, I will often crop the image during post-processing. Sometimes, though, I will intentionally keep my distance and will carefully compose the image to include more environmental elements. That was the case yesterday during a quick trip to Kenilworth Park and Aquatic Gardens with my photography mentor Cindy Dyer. Cindy needed to drop off some prints at the gift shop and I had a few minutes to grab a few shots. Dragonfly perches generally are not very interesting, often just dried-out branches sticking out of the water. 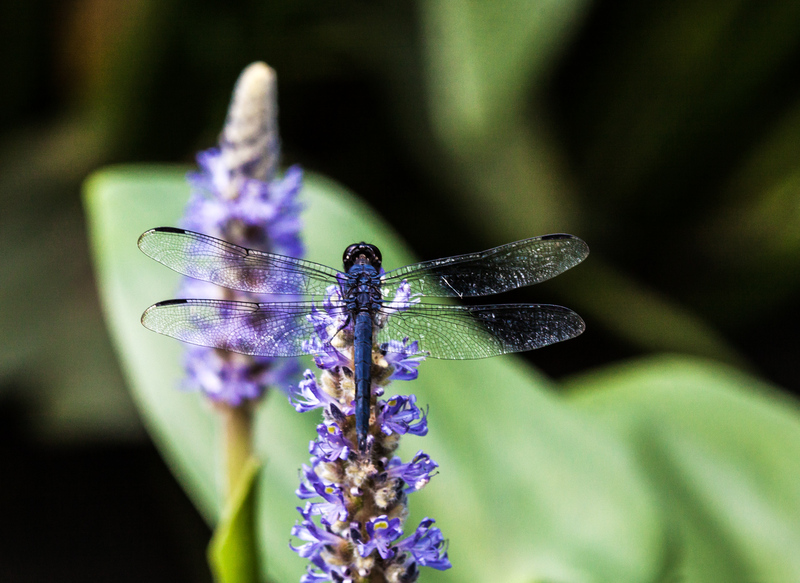 I was excited, therefore, when I spotted a male Slaty Skimmer dragonfly (Libellula incesta) perching on a purple Pickerelweed plant (Pontederia cordata). I positioned myself to capture an additional pickerelweed plant in the background, pretty sure that it would be out of focus and not be too distracting. The cool colors and the sinuous curves of the plants in the background combine to create an “artsy” image that I really like. 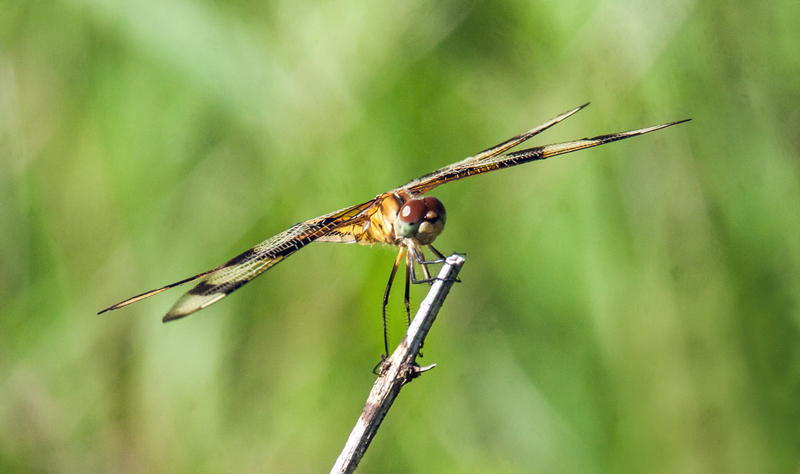 Yesterday at Occoquan Bay National Wildlife Refuge in Woodbridge, Virginia, I was able to photograph a new dragonfly species for me, the beautiful Calico Pennant (Celithemis elisa). Fellow photographer and dragonfly enthusiast Walter Sanford had alerted me to the presence of these dragonflies at this location and had given me a general idea of where I might find them. When I arrived at the wildlife refuge, which I had never visited before, I was a bit disoriented at first, but eventually found the pond that was my target location. The challenge, though, was to find the diminutive dragonflies. I walked about for quite some time before I finally spotted one perched on the very top of some vegetation in a field adjacent to the pond. 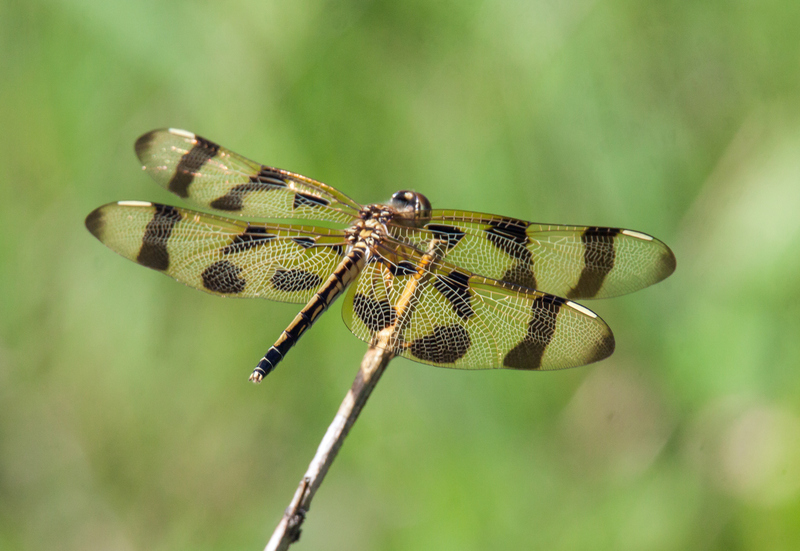 Like other pennant dragonflies, Calico Pennants usually hang on to the most fragile, flimsy branches of plants and are often flapping in the breeze like a pennant. 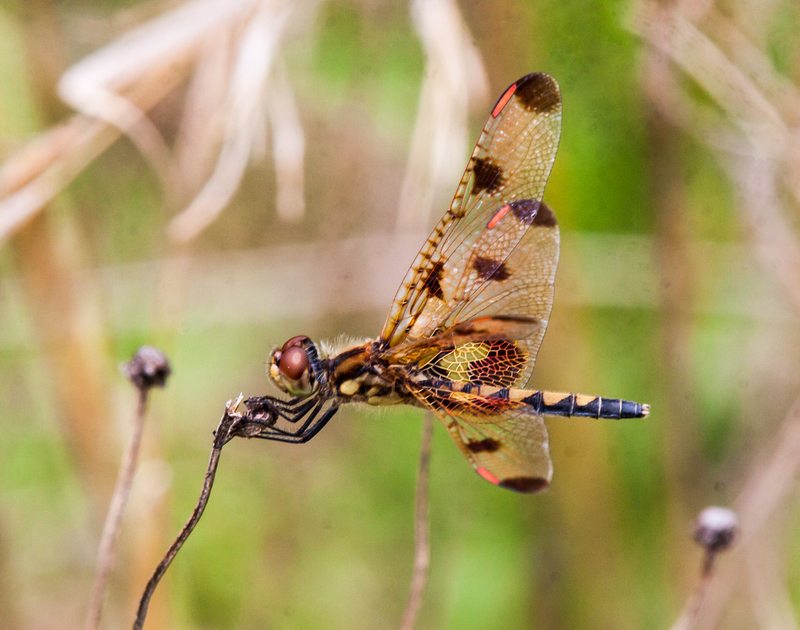 Here are a couple of shots of Calico Pennant dragonflies that I observed. The one with the yellow abdomen is a female and the male has the red abdomen. 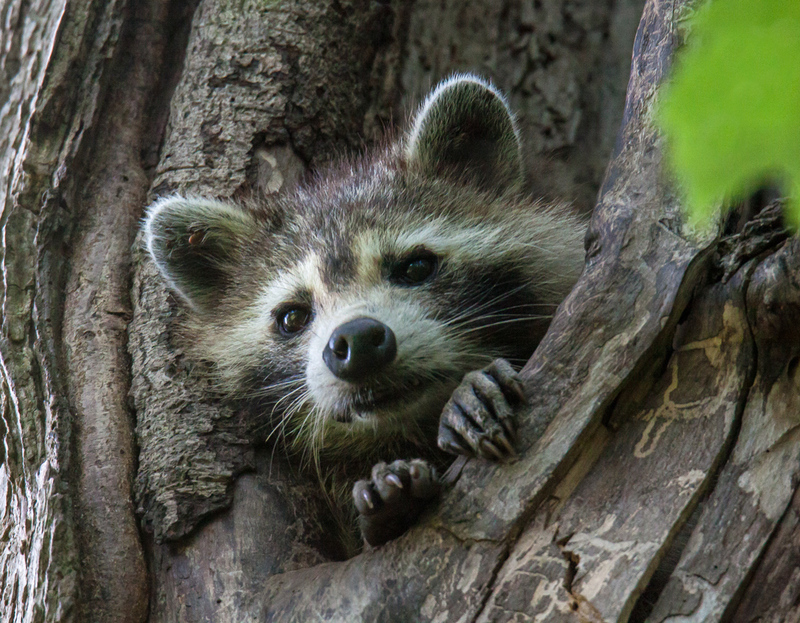 As is the case with many species, immature males have the same coloration as the females, so it usually pays to look at the terminal appendages to determine the gender.